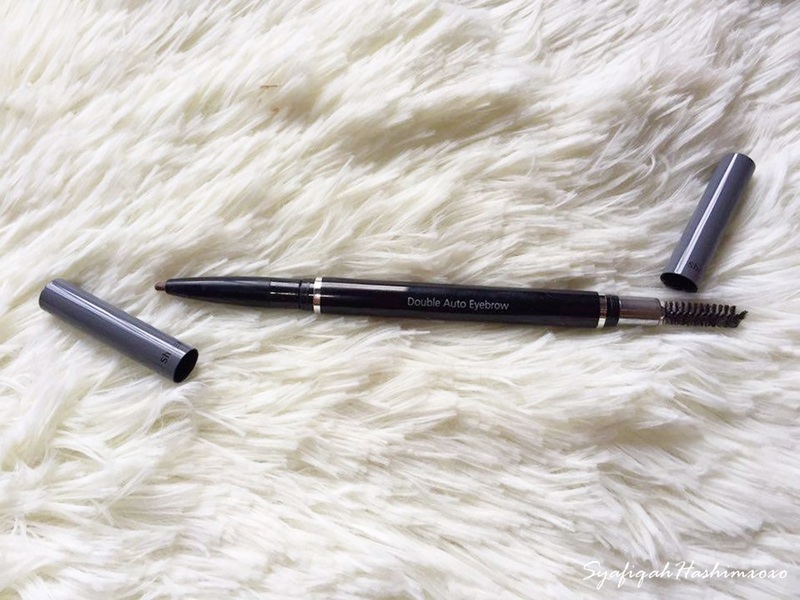 I got this product actually early this year and it just the time I finally had a chance to review about it that is Shizens Double Auto Brow. 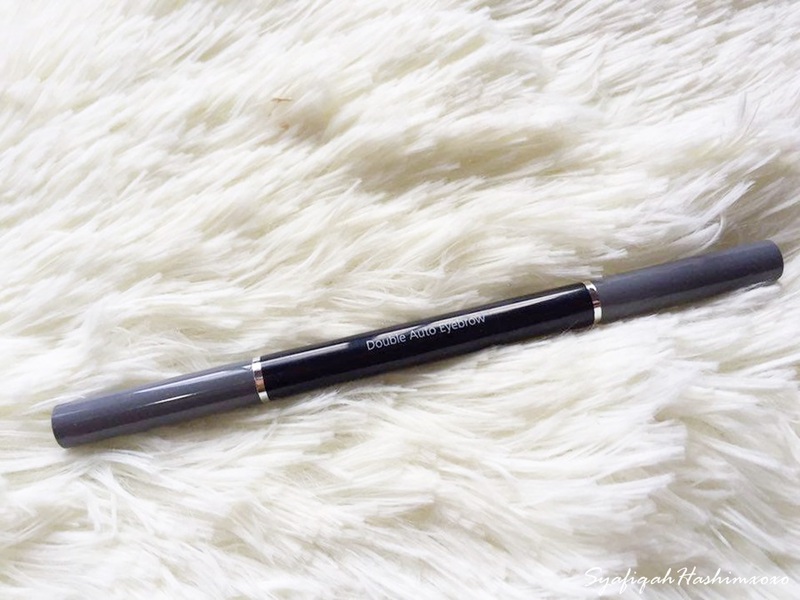 I think it is call double auto because it has the brush/spoolie at the end of this eyebrow pencil. For those might not know about Shizens, it is a brand that come out with skincare and cosmetic and offers a wide range of products. Shizens is basically combination of eastern value, on botanical extract wit advancement of western technology. The famous product from Shizins is Lip Tattoo which I also have. Thanks to my beauty friend, Wiida for giving me the Lip Tattoo. Muahhh! But today, I don't want to talk about the lip tatto but I want to share about the Brow product. I'm a type of person who love to do my brow. As for daily basis as well. Brow really a MUST for me. Hehehee.. Who with me?? *put your hand up ! This is how the packaging looks like. Come with grey covers for both ends. This is retractable type so you don't bother to sharpening it. Twist according to desired long so you can use it very well. This eyebrow has an oval shape stick end that helps to apply the eye brow easier able to control according to desired shape. Have brush/spoolie at the other end helps to make the eye brow becomes more natural once you brushed it with out leaving a harsh lines. The color that I got here is Cappuccino Brown it is similarly to my eyebrow color..hahahhaa.. Okay, jokes. I mean that this color is able to create my brows to more natural and not too much. I don't know why with me cause people normally will do their brow starting from below line but for me I prefer to start form upper line. Heeee.. I just draw according to my original eyebrow shape. I don't re-shape my brow because it will look weird for me. Hahaa.. Always keep it minimal. I hope you find my review helpful. Any inquiries please leave in the comment box below.